Waking up in the morning, firing up your phone/computer and being able to scan a super quick (but curated) rundown of the best of what lies ahead. 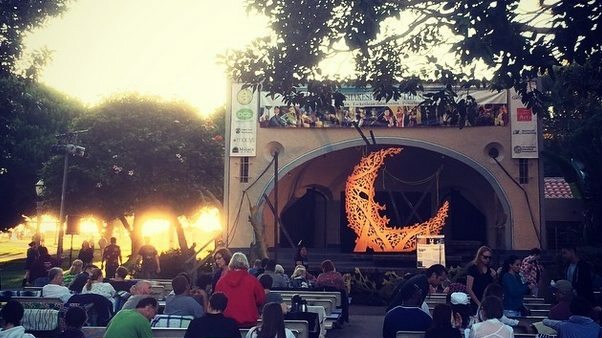 So here it is, our list of fun things to do in Los Angeles for today, Thursday, June 14, 2018. 1. [5 p.m.] Mike Shinoda at Amoeba Hollywood (you have to pre-purchase “Post Traumatic” CD in-store for guaranteed admission). 2. [6 p.m.] Downtown Art Walk brings art enthusiasts and locals together every second Thursday of each month to take part in gallery tours, shop the art mart and sample nearby food trucks, and experience the overall flavor of the downtown Los Angeles Historic Core. 7. [8:30 p.m.] There is an opening night event for the Cat Art Show at Think Tank Gallery in DTLA. 8. [various] June is California Avocado Month and Grand Central Market in DTLA is the place to be for all things avocado. A select group of chefs have rolled out avocado inspired offerings on their menu just for the month. 10. [various] Venues such as 2nd Stage, Hudson Theatres, The Broadwater and the Underground Annex Theater will host comedy, ensemble theatre, dance and many more performances during the annual Hollywood Fringe Festival from June 7-24. Want more ideas for upcoming things to do in L.A.? Check out our Los Angeles events calendar.